For three years now January has come and gone with the pain of loss. I’ve said it many times. No one should have to bury a child. Now I add May to my least favorite months of the year list. Yesterday marked the one year anniversary of Nancy’s–the wife of my youth–going home to be with the Lord. I was not sure how it would pass for me, especially since last March the Lord blessed me with Jan–the wife of my later years. This picture was taken three years ago at a new people fellowship in our home. Who could have possibly known the providence of God that would unfold so soon after? My emotions certainly came into play last night as the exact hour of Nan’s passing 365 days ago approached. Different folks reached out to me assuring me of their prayer support. Jan and I spent the evening together remembering and processing. A verse I have returned to repeatedly through this journey is Prov. 18:22. What can I say? I’ve been favored by God in this regard twice in one lifetime. Nancy was a gift from God to me. Jan is a gift from God to me. Both qualify as “excellent” (morally strong) women (Prov. 12:4; Prov. 31:10). Both were/are “prudent” (wise) women (Prov. 19:14). God alone gives a man such extraordinary favor. The good thing is, when he honors her, . . . as the person, whom God saw to be the best and fittest for himself in the whole world, a comfort for life, a help for heaven. Thus she becomes the one object of his undivided heart. Mutual faith is plighted in the Lord. Such a communion spiritualizes his affections, and elevates him from earth to heaven. And so with this first May anniversary behind me, I do that very good thing. I honor both these women–gifts from Him lifting me more heavenward than I might ever have reached without them. Thanks be to God for double favor. Two things drive this post, both from God’s word. One, honor for the aged (Lev. 19:32). Two, never neglect to say thank you (Luke 17:11-19). 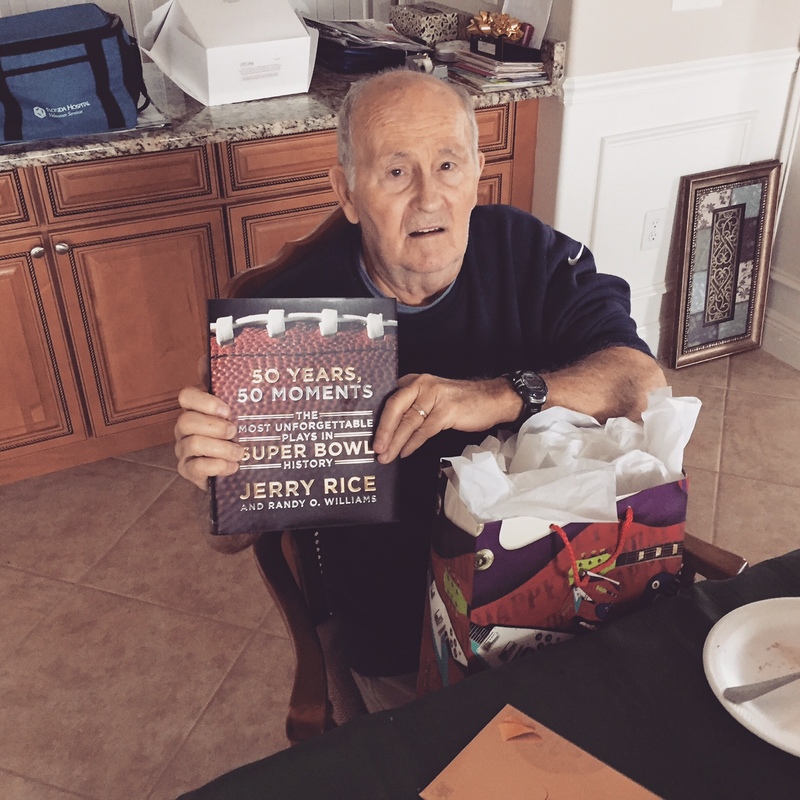 My father turns 84 today. The whole gang celebrated yesterday at Kettles’ Castle in Melbourne. We had a blast. Three words say it all: Chocolate Avalanche Cake. Well, we enjoyed other sweet aspects of our time together, but good gracious that bad boy rocked! When I first considered the concept for this post, I said to myself, Heff, you’re insane. Dad means a lot to you and the rest of the sibs, but do you really think you can conjure up that many specifics? Easier than I thought. See for yourself. Giving me your name (Yes, the man adopted me). Nothing common about my handle. Keeping your wedding vows to my mother all these decades. Taking me to my first Phillies game at Connie Mack Stadium. Remember? We sat on the third base line. Losing all that sleep when you let me drive the Vette to the prom. Treating me no differently from your own kids. Rarely, if ever, losing your cool. Humbly admitting your faults like you did at our last family meeting. Willingly participating in family meetings even when it means constructive input. Joining me at a Harlem Globetrotters game at The Spectrum. Pulling off the vacation of a lifetime with that two-week RV trip out west. Coming to my plays–even all the way up to Penn State. Insisting on the 2/3–1/3 college payment plan. Listening to me preach now and then. Working your tail off to provide for the family. Not disowning me when I quit PSU against your wishes. Having the guts to throw me out of the house (see #16). For the record, I deserved it. Taking me back into the house after I wised up a tad. Reading my book on peacemaking when it gets published. Don’t you love the presumption? Allowing for our personality differences. Being able to fix just about anything. Putting those gadgets in your ears. Helping Vista Church purchase a video projector. Contributing generously to the Joshua Place Playground. Helping me negotiate the deal for that orange VW Beetle. Encouraging me to marry Nancy. Wearing a tux at my wedding (see #26). Not forcing me to ride a dirt bike. Tossing the football with me in the yard. Caring deeply for all your children. Never using sarcasm with me as a put down. Well, there was that one time, BUT REALLY, THAT WAS IT. Single handedly driving up Aldi stock. Same for Steak & Shake (see #34). Keeping fit in spite of #36. Caring about the science behind claims. Opening your home to others. Think cousin Howie. That took guts knowing that wild and crazy but hugely lovable character! Giving generously to your kids when you make a killing in real estate. Permitting me to omit Formula 1 from my list of personal passions. Being there at the hospital for my cancer surgery. Making wise investments to benefit our family. Persuading me to go to Penn State. Supporting my call to pastoral ministry. Never shaming me for my lack of athletic ability even though you have always been a jock. Letting me run the attic fan on hot summer nights in the Berwyn house. Getting me the job with GE one summer assembling modular homes. Having the courage to make huge decisions–like relocating cross country–twice. Letting me fish off the MI house dock. Remember those two huge drum I caught that day? Teaching me to change the oil in my car. For the record I go to Jiffy Lube now. Showing patience through my battle with CFS. Not Baker Acting me for moving to the Idaho wilderness. Saying “No” to my request to take on a paper route. What in the world was I thinking? Coaching me through the torture then known as the new math in Mr. Donnely’s 7th grade class. Not rolling your eyes that grading period in high school when I flunked gymnastics (see #47). Hated gymnastics. Making conversation more important that watching TV when I visit. Springing for the vacation of a lifetime at Green Acres in the Catskills. What was a nice Gentile family like ours doing in a place like that anyway? Teaching me to drive a stick shift. Letting me drive the Mercedes when I got my license (see #64). Never calling me stupid for failing back then to appreciate #65. Man, I’d love to own that rig now! Never tooting your own horn. You really are a humble man. Sending mom to help with the newborns. Listening attentively. I’m amazed at your self-discipline in not interrupting others. Giving me hope about that other mansion we talked about one day not too long ago. I keep praying. Being the motor head all motor heads everywhere envy. Quitting driving when the time comes. More presumption. I’m counting on you for this, Pop. Doing any project the right way or not at all. Making me help build that stupid wall at the Berwyn house. BUT NOT FOR HAULING THOSE RAILROAD TIES! Not giving me a middle name (see yesterday’s questioning around the table–really, I’m not upset about it). Not expecting me to do this again when you hit 104. Love you, pop. You’re the best! Question: With apologies to those who have no positive memories about their dad for whatever reason, for those who do, what is something you admire most about him? You can leave a comment by clicking here. 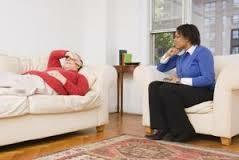 Over the years I’ve logged my share of hours on the therapist’s couch. At different seasons, biblical counseling has played a huge role in my life. Lord knows I’ve needed it. But not every counseling experience was created equal in terms of its profit and degree of change. I suspect that had more to do with me than with the various counselors. I wish I had been armed, during those peel-back-the-layers-of-the-onion days, with five principles I just read about this evening. They come from one of my favorite authors and friend, Ken Sande. 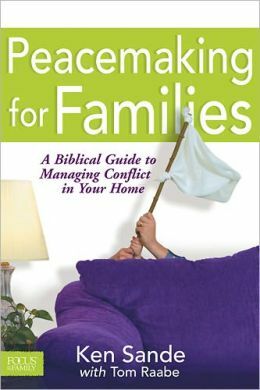 He wrote a book in cooperation with Tom Raabe called Peacemaking for Families: A Biblical Guide for Managing Conflict in Your Home (Tyndale, 2002, 224 pages). Go to the heart of your problems (James 4:1-3). Don’t just focus on surface issues; scuba dive for the heart idols (desires-turned-into-demands) that ultimately control the heart and undermine a marriage. Sinful patterns will give way far more likely with that strategy than they ever will with mere behavior modification. Third, remember the gospel (Romans 1:16). Oh, I forgot. Here’s a drum Ken bangs on even more than the second “G.” Good thing too. Fix your eyes at every turn on the One who died, was buried and rose again. He alone has the power to set us free from the old ways and help us put on the new ones of love and respect in a marriage. Ask for prayer support and accountability from within your church (James 5:16). Marriage counseling constitutes a form of spiritual warfare given the formidable foes, like our idols, that we seek to defeat. Such things give way to the fervent, righteous prayers of God’s people. Ask people to lay down intercessory prayer cover for you. Most marriages get into trouble as a result of attitudes and habits that have developed over a long period of time, some of which preceded your wedding day. Since these problems took a long time to develop, they usually take a good deal of time and effort to resolve. Therefore, make a commitment to keep working as long as it takes to overcome problems that threaten your marriage, even if that means an extended season of counseling (p. 179). I realize that’s not your average post title. I borrow heavily from R. C. Sproul, Jr. in a recent issue of Tabletalk magazine. May I suggest that you employ such a liturgy in your teaching of your children? May they keep His commandments and live. Another OGC couple made the marital plunge this past weekend. I actually got the family name right this time around. With their “I do’s” Danny and Beth became even more than they already are each other’s earthly dearest. When I have learnt to love God better than my earthly dearest, I shall love my earthly dearest better than I do now. Insofar as I learn to love my earthly dearest at the expense of God and instead of God, I shall not love my earthly dearest at all. When first things are put first, second things are not suppressed but increased. Pray to God for grace to put first things first that second things be not suppressed but increased. Frankly, I want gospel-powered everything. After all, the gospel and only the gospel, is the power of God for salvation (Romans 1:16-17). However, every parent feels the stakes higher in the area of how they shape their children’s lives than in perhaps any other sphere of their existence. As a pastor, that makes me on the lookout for any resource that will help dads and moms look to the gospel of Christ for the basis from which they parent their children. William Farley gets pretty good reviews in this regard with his book Gospel-Powered Parenting. I confess I haven’t read it yet, but it is on my short list. I suppose that’s because I keep having conversations with parents wrestling with the challenges of bringing up their children, particularly in their teen years, in ways that glorify God. The gospel also protects parents from “moralism,” the idea that well-behaved children are the main thing. New Birth is the main thing. The morality of Christ imputed to your children is the main thing. It is not what our children do for Christ but what Christ has done for our children that is the main thing. Ironically, without aiming at it, gospel centered parents get godly behavior from their children. I want to be gospel-centered in everything I do as a pastor, including shepherding the parents of OGC effectively into gospel-powered parenting. If you read this resource, or have read it, let me know what you think. By tale I don’t mean fiction. Each family referenced in this post once existed or does now actually exist. These tales relate fact, some of it hard-to-swallow, down right mind blowing truth. Household #1 – Ezekiel the prophet’s. Every year as I read through the entirety of the Bible I always come up short when I reach Ezekiel 24:15-18. The word of the LORD came to me: “Son of man, behold, I am about to take the delight of your eyes away from you at a stroke; yet you shall not mourn or weep, nor shall your tears run down. Sigh, but not aloud; make no mourning for the dead. Bind on your turban, and put your shoes on your feet; do not cover your lips, nor eat the bread of men.” So I spoke to the people in the morning, and at evening my wife died. And on the next morning I did as I was commanded. God employed His prophet during unique times of judgment ministering among His people during exile in Babylon. The Lord put numerous difficult requirements upon Ezekiel in the object-lesson-like way He spoke to rebellious Israel through the prophet, but none more staggering in its implications than this one. He slew His servant’s wife, none other than the delight of his eyes. The sovereign Lord of the universe, at a stroke, struck down the man’s bride. Additionally, to suit His purposes of pressing home conviction for Israel’s hardness of heart in the face of judgment, God prohibited Ezekiel from demonstrating any grief (Ezek. 24:19-24). Remarkably, Ezekiel treasured the Lord more than the delight of his eyes and did as he was commanded. This man did not worship at the altar of his marriage. His wife was no idol. God’s purposes trumped everything, even long life with his beloved, in this servant’s journey toward a better country (Heb. 11:16). Dr. Sproul, a teaching fellow at Ligonier Ministries, lost his wife, Denise, at the tender age of 46 this past Sunday morning after three different battles with cancer. She left behind not just her bereaved husband, but eight children as well, ages 2 to 18. I represented the OGC leadership at the memorial service the morning of this writing, extending our condolences and assuring of our prayers. Not surprisingly, given the affinity for Reformed theology in the Ligonier and St. Andrew’s families, all who spoke waved high the banner of God’s sovereignty over the hard providence of loss, not at all unlike the account of Ezekiel 24. “The Lord took her home” and phrases like it were spoken without reservation as if this were something God had done. The Lord gave and He has taken away. Blessed be the name of the Lord (Job 1:21). Fortunately for Dr. Sproul Jr. and all in attendance, no prohibition of grieving held sway over the sorrowful yet rejoicing occasion (2 Cor. 6:10). I am told our dear sister went home to her reward to take up residence in the suite Jesus had prepared especially for her (John 14:2) around 6 AM that Sunday. I am further told that the St. Andrews family gathered for worship as usual later that morning and that Dr. Sproul, Jr. attended. I count him among that brave and happy band of brothers who, even in the grip of staggering loss, resolves to do as God commands. 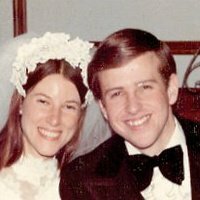 Today Nancy and I mark our 37th anniversary. This morning I went to a colleague in the gospel’s memorial service for his bride. Tonight I will take my bride to a restaurant and celebrate nearly four decades of covenant marriage and ministry partnership. The irony of the confluence of these things on the same day was not lost on me, especially as a cancer survivor enjoying over six years cancer free after my life-and-death battle with the disease in 2005. As I drove to the memorial service, I asked. Why me, Lord? Why do I get to dine with the delight of my eyes while this man with a far greater stewardship of ministry and breadth of impact than I will ever have buries the delight of his eyes this Christmas? Whatever the providence, bitter or sweet, hard or soft, good or bad, in life and death, for the follower of Jesus who loves Christ more than life and wife and breadth, there can be only one response at ever turn. As for me and my house, we will serve the Lord (Josh. 24:15). By His grace and through His power we will do as He commands as High King of heaven, God the Father over all and through all and in all (Eph. 4:6). Providence shapes your experience this Christmas season and into 2012 and beyond. All your circumstances, past, present, and future come through the hand of the One whose counsel stands accomplishing all His purpose (Isaiah 46:10) and works all things together for good to those who love Him and are called according to His purpose (Rom. 8:28). In all those providences, one question remains. Will you do as He commands for His glory and your greater joy?